Welcome to Allandoo Pheasantry home page. We are breeders of ornamental and rare species of pheasant in the UK. All of our pheasants make wonderful aviary birds. If you would like to see photos of our birds and aviaries please take a look at the Gallery. We include all the pheasants we have for sale on our price list as well as any special offers when we have them. There are around 50 species of pheasant in the wild and numerous subspecies. Many of these are endemic to China. Pheasants are among the worlds most colourful birds. Sadly the majority of species are in decline, with some being vulnerable or endangered. This is mainly due to loss of habitat through deforestation, although, with at least some pheasant species, hunting and hybridisation also play a part. Some of the pheasant family are very well known, such as the ringneck pheasant, bred for food and sport. The peafowl is also a member of the pheasant family. Even the domestic chicken is descended from the Red Junglefowl, another pheasant. 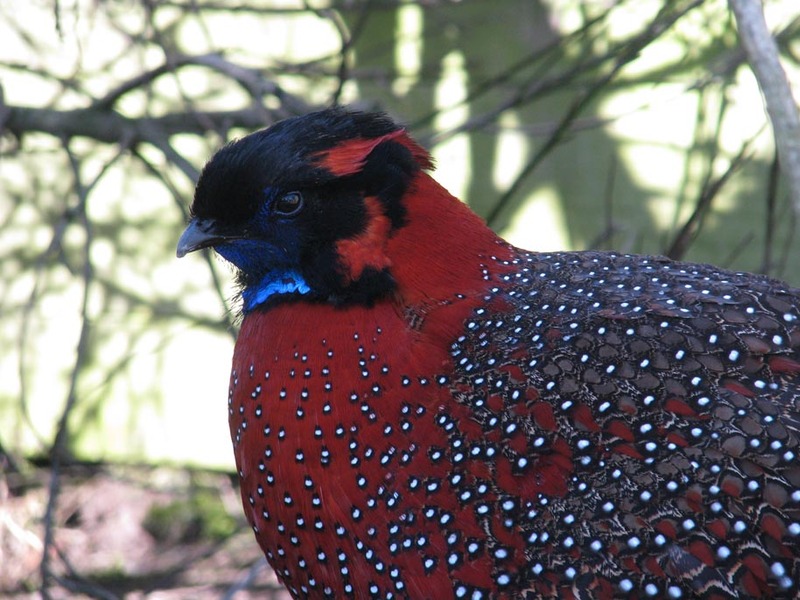 We believe at Allandoo that breeding ornamental pheasants in captivity can be an important lifeline for them. Very little is known about many of the species in the wild but we can learn a lot from watching and breeding them in captivity. Even spreading awareness that such beautiful birds exist is a great help to their plight. This is what we are trying to do to the best of our ability, so please take some time to have a look at our site and see our birds. We are very happy to help with any enquiries, if we can, so feel free to contact us or even come and see our birds for yourself. We have 19 species at Allandoo at the moment. All the pheasant species have different personalities but there are also differences between each individual bird. Also to keep up to date on our goings on throughout the year check out our facebook page.